This. 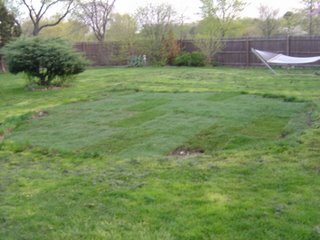 1000 lbs of dirt, and 1200 pounds of sod later, this is my backyard. It looks a lot better, don't ya think?